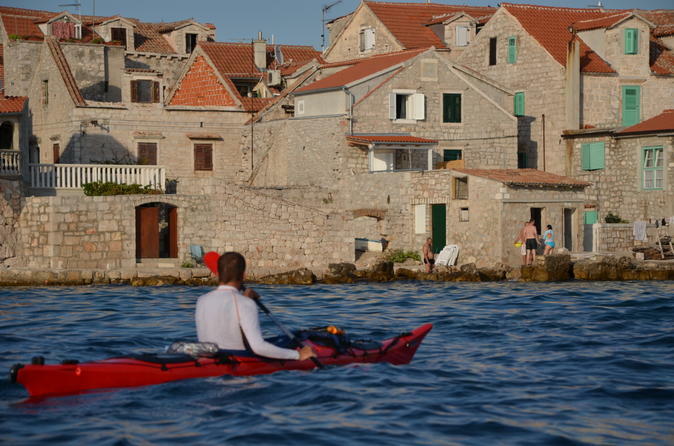 Paddle through Vinjerac, with views of the Valebit mountain range, during this 5-hour kayaking adventure from Zadar. With your local kayaking guide, make your way to Vecka tower and jump into the clear, blue water for a swim. Learn about the history and legends of the area, then continue to Vinjerac, a charming fishing village. Sit down for a fresh seafood lunch to refuel before paddling back to your starting place, enjoying views of Paklenica National Park on the way. No kayaking experience is necessary.